Very good quality accordions produced in Castelfidardo in Italy. Excellent student and compact models. Long established brand. Moreschi 34 key 72 bass 3 voice black compact accordion. Midi expansion option. 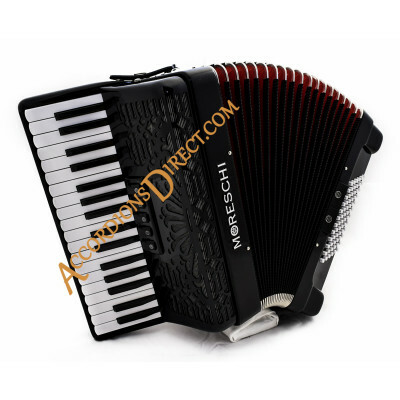 Moreschi is an established Italian maker of accordions of some repute based in Castelfidardo Italy. 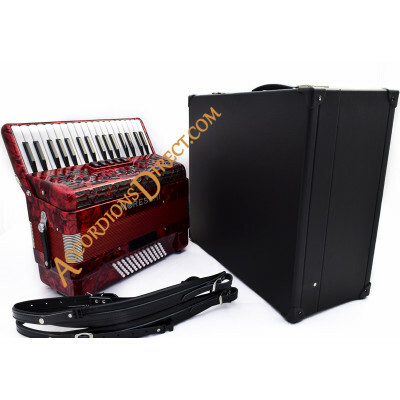 ..
Moreschi 34 key 72 bass 3 voice red compact accordion. Midi expansion option.